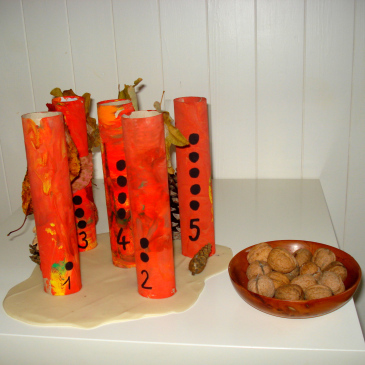 We like to try different mediums and methods for painting. 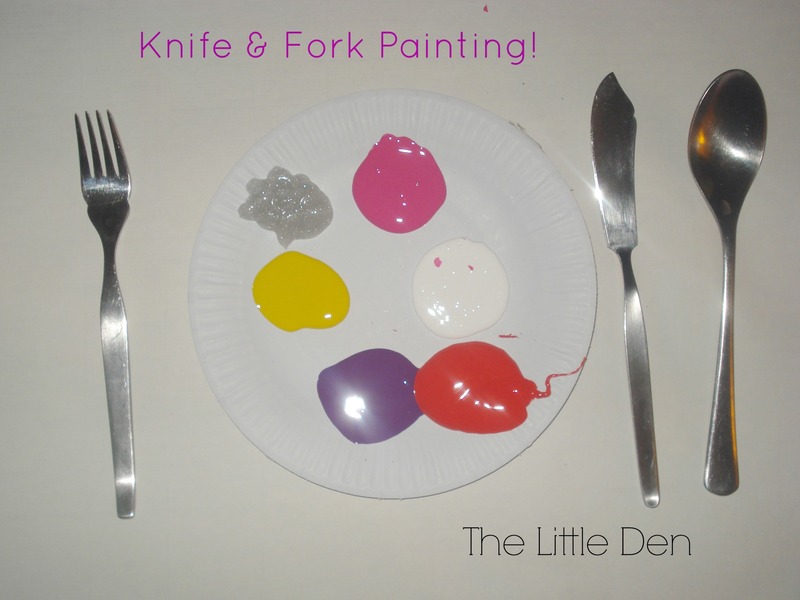 Today, I set the table and we did some ‘knife & fork painting’! 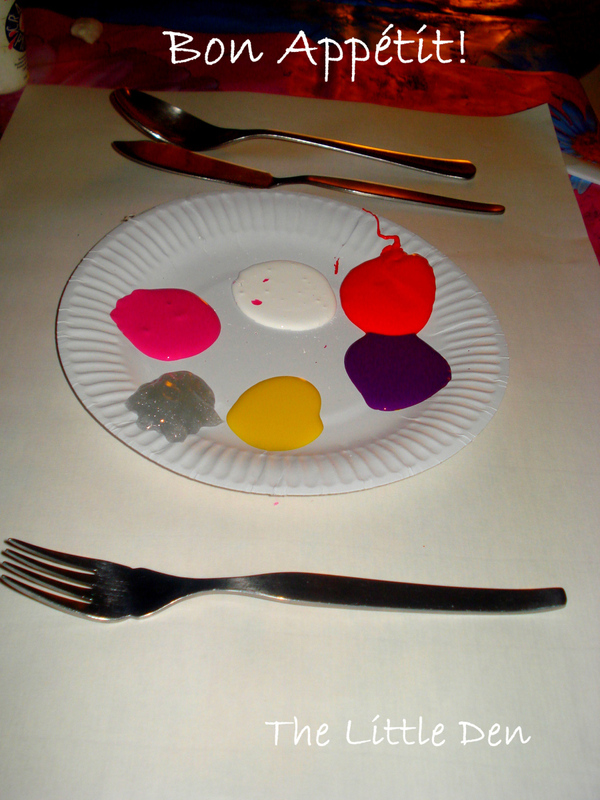 I prepared some blobs of paint on a cardboard plate and placed a knife, fork and spoon on either side. 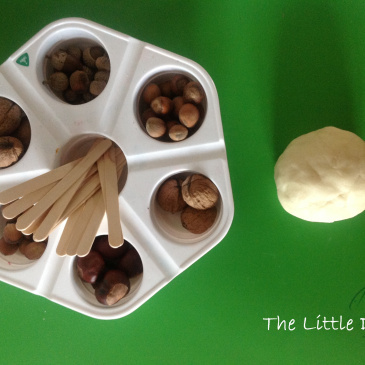 The kids were very amused by this set up and wanted to try it out immediately. 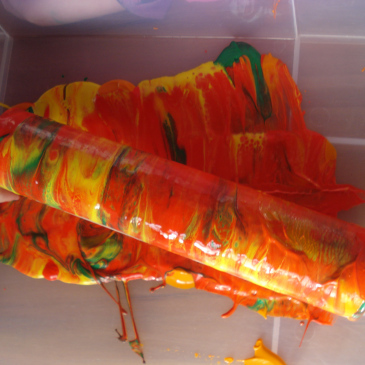 They tried out the fork and made some interesting patterns. 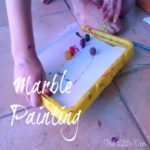 The spoon was a little trickier and I had purposely given them a fish knife to work with to see how they would get on with it. 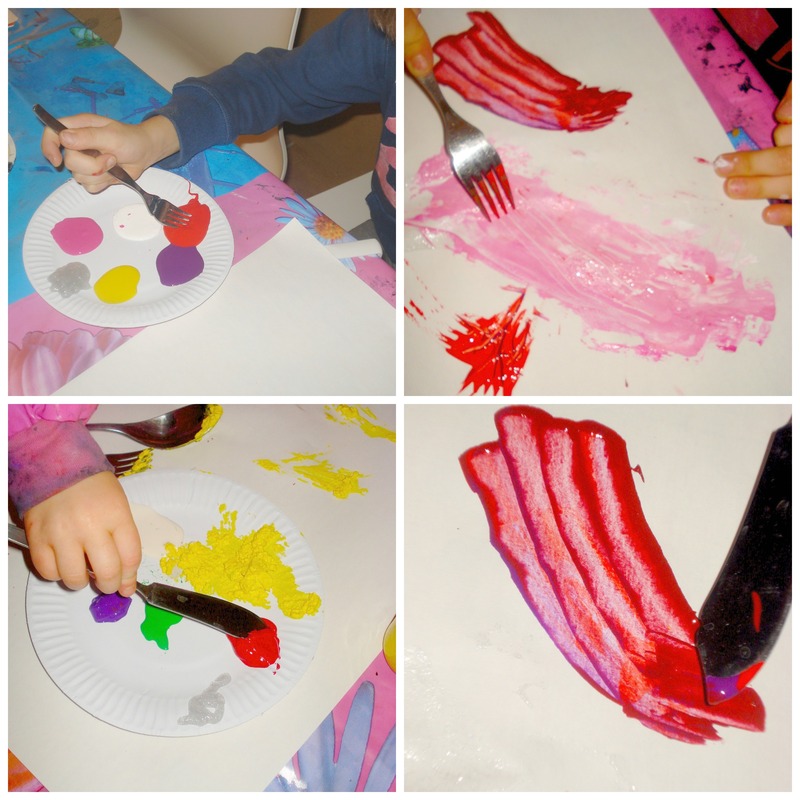 They enjoyed experimenting with the different utensils to find out what patterns they could create. 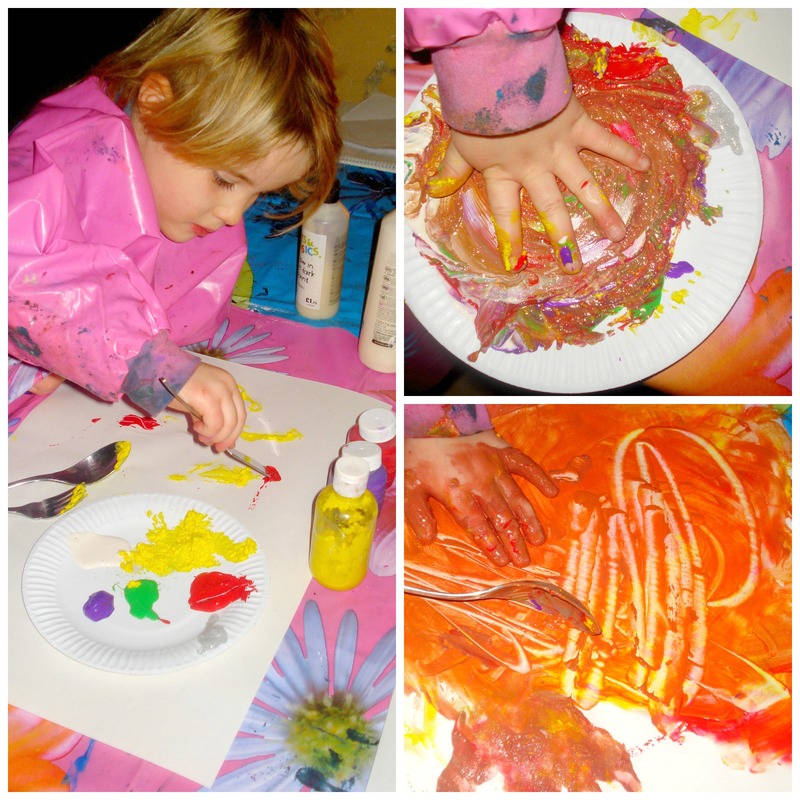 As always Miss 4 likes to get as messy as possible so we progressed from knife, fork and spoon painting to proper hands right in there experience. One happy girl!